Motorcycle Fairing - Motorbike Fairing - CBR - GSXR Fairings | NiceCycle.com: NiceCycle Motorcycle Fairings - Team Riders! We are proud to sponsor some of the best riders in the world of stunting, as well as drag. 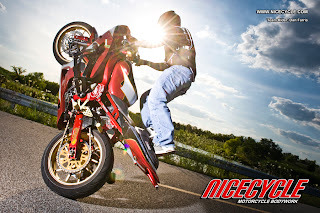 NiceCycle motorcycle fairings can be found on thousands of bikes in competition and on the street! We take pride in offering a fairing kit solution that is affordable and yet durable! Trusted by dealerships and riders alike, our fairings are the best in the industry!